Columbia Grammar Preparatory School students are invited to take part of these two dates of day camps during school off days: November 15th (Parent-Teacher Conference) and January 21st (MLK Day). 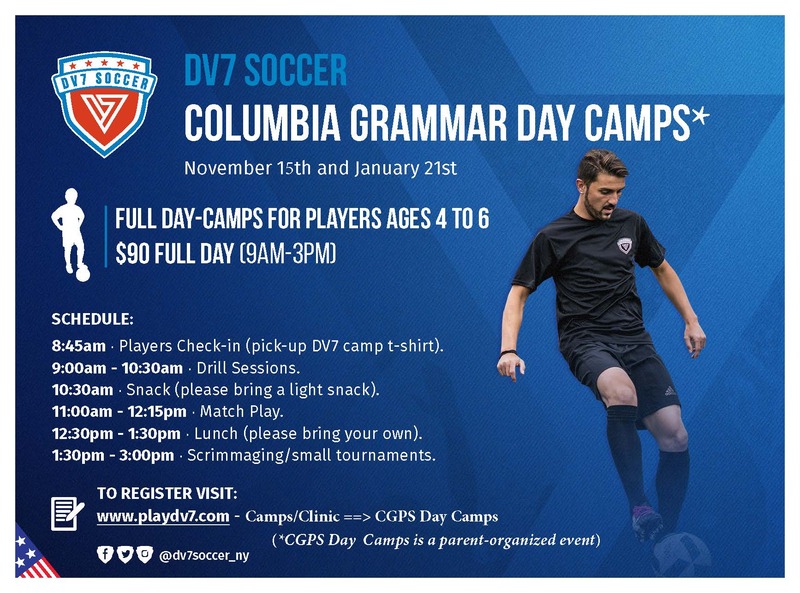 DV7 Soccer and the parents of CGPS are working together to give students more options during school breaks to stay active in a safe and positive environment while also learning soccer the Spanish way using the DV7 methodology David Villa learned as a child. CGPS students will be offered transportation with pick up at the school site and drop off in Astoria/Queens at the Upper 90 Soccer Center (more details to follow). Check-in details will be sent out with your registration confirmation email. Questions can be directed to Jessica at jessica@dv7soccer.com. 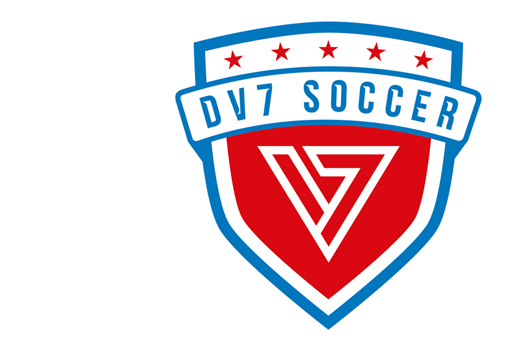 Check out this Soccer camp 'CGPS DAY CAMPS WITH DV7 SOCCER' with PLAY DV7!